I don’t mean The Sims. WordPress.com is now my online family. It is a great family that manages to unite millions of people, celebrate their work, and stay classy. Let me explain this some more. WordPress.com is a home for millions of diverse people. We may live on opposite ends of the Earth, and we may have different interests. Yet, we can still find someone with a similar blog or shared hobby. It’s also great fun to find people with unique views and talk to them. The comments I’ve shared have always been polite. Others leave me polite comments, even when they may disagree. We’re not a mafia family, but we take care of our own. We “like” posts and give awards to celebrate others’ good work and talent. We get along. 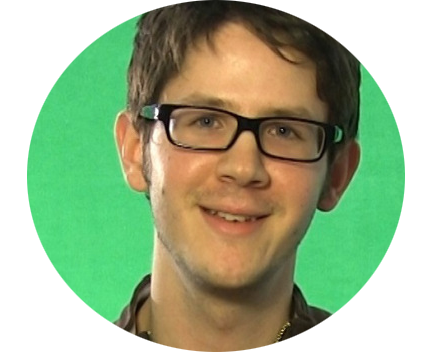 If millions of people can get along on WordPress.com, then perhaps the world can too. Or maybe we can act as a model of decent online behaviour. 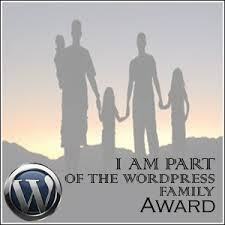 PewPew Diaries, thank you for the “WordPress Family Award” nomination. I accept. 2. A link to the person who nominated you. 4. Tell your 10 Family Members about their award. I recommend you check out all 10 of these blogs. Cool, thanks! The WordPress community really is like family. 🙂 I shall have to reciprocate the nod. Thanks a lot! 😀 Yaaaay!